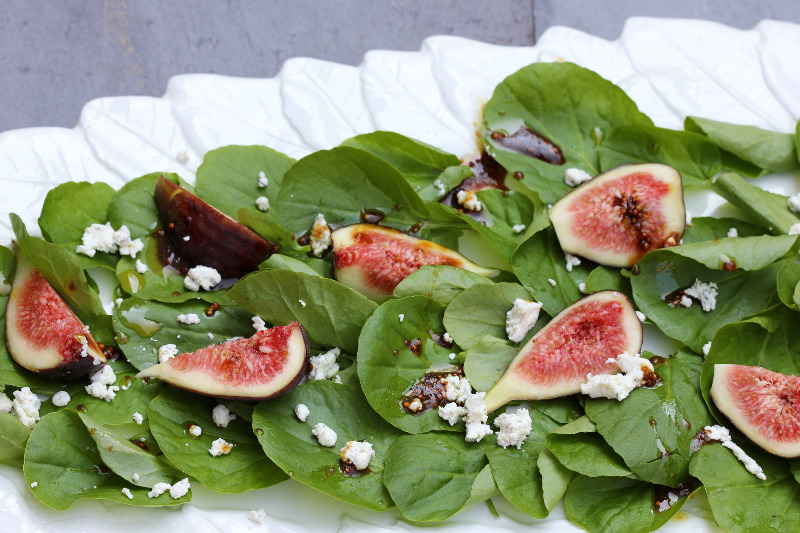 When life gives you figs, make salad! Add peppery watercress, creamy bits of goat cheese, toss with a pomegranate dressing and you'll have to admit that salad never tasted so good. 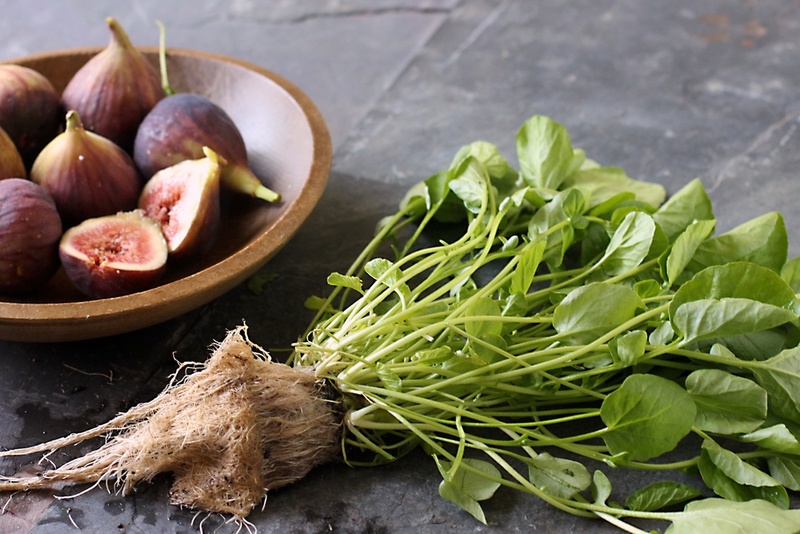 Pomegranate molasses adds a sweet and sour tang to the dressing which is a wonderful compliment to the figs. It can be purchased in Middle Eastern food shops, occasionally at Whole Foods, or online here. Try brushing this dressing on sliced eggplant ready for the grill...yum!